March 2012 | Free Pc to Phone Calls, Free Voip Calls to India International ! I always thought that this is inbuilt feature of iPhone, THE iPhone4. Well turns out that blocking calls on iPhone or the latest iPhone4 is not something provided by Apple. I guess, I was having this call blocking feature even on my Nokia mobile (few years back..now I have Android :P). So I started searching internet about blocking unwanted calls on iPhone, as well blocking text messages on iPhone. I would just love to have this blocking unwanted SMS feature on my phone. It is really annoying when you receive these random text messages. According to some people (as I am not sure here) : the call blocking feature is a service provided by telecom providers. Anyhow, neither Verizon nor AT&T offer this feature (free). I guess AT&T used to offer the call blocking facility at $5 per month (not sure whether it is available now and it works for iPhone). But why should I pay money to block these unwanted calls. What we want is a iPhone Service or iPhone App to block calls. There is an app called iBlacklist which can help you block calls on your iPhone Mobile. This app is not free and is available at one time price of $12. So at least this is better than paying monthly charges. However, iBlacklist not available at Apple Store. Only those who have jailbreak their iPhone can get this app. iBlackList can be downloaded only via Cydia. iBlacklist works on iOS5. The list of features of iBlacklist is very large, so better check it on iBlacklist itself. Well it is not exactly blocking the calls, however these unwanted calls won't disturb you anymore. Whats annoying is the ring and disturbance these unwanted calls cause. So just do a selective silent ringtone for these numbers. First you need a silent ringtone. (Google it : over 1000 free mp3 available). Then download this silent ringtone to your mobile (simply transfer it via iTunes). Make a list of numbers whose calls you don't want to attend (make a blocked number list). Assign this list the silent ringtone. You have to keep on building this spam list of unwanted contacts. Whenever these people call you, you won't get disturbed. 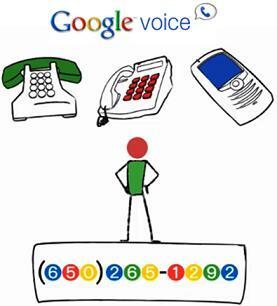 Move your mobile number to a new Google Voice Number. Calls can be easily blocked on Google Voice with just touch of a button. What we covered in this post is to block the calls, if someone is troubling you with masked calls (where caller id does not appear), then we have a another tutorial for you : "How to unmask calls on iPhone". One of our facebook followers asked us about making Free calls from Australia to India. Well it turns out it is a very common question as a lot of Indian students are there in Australia who want to call their family in India for free. Many other people want to make free international calls from Australia. Lets see how can you make free calls to 70 countries from Australia. We will today discuss about OziCall Talk Up, which is a new way to make free international calls using a free virtual calling card. 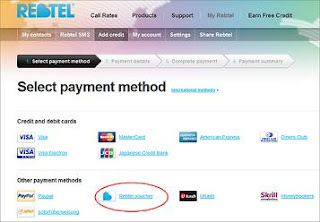 Use your landline to create an account and add free Talk Up credit, then use any phone (land or mobile) to make free international calls. Call 1300 721 478 from a landline you have frequent access to. 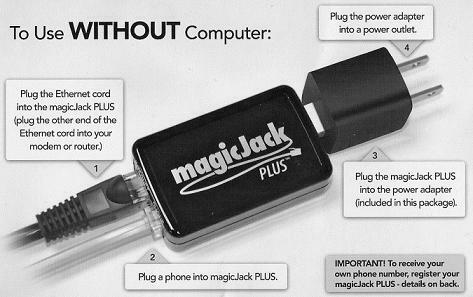 (A home, work, or school phone for instance). A free Talk Up account will be created over the phone. Your account number will be the phone number you are calling from. Write down your account number, and hang up. (Make sure to store this number). Call local access numbers Sydney 02 8015 5870 or Melbourne 03 8820 5027 from ANY phone. Need not to be the number you registered. Enter your account number (which you stored in previous step), and then international number you want to call. Dial 1300 721 478 from the landline you created your account with. Select the Add More Credit option, and hang up after you hear confirmation. Each Top Up call will add 7 additional minutes to your Talk Up balance. You can even transfer your free minutes from one account to other account. You can create new Talk Up accounts with 100 or 250 minutes of talk time by transferring a part of your existing Talk Up balance to the new account. To do this, dial 1300 721 478 and select option 8 or 9 in the menu. Don't get shocked if your landline phone bill tossed up too high! So just read this before you go heading making free calls. OziCall does not charge you anything for using talk up, HOWEVER to charge and manage your Talk Up account, you need to dial 1300 numbers from a landline phone. Depending on your landline phone plan, you may be charged a per call fee to dial our 1300 numbers. Some landline plans have unlimited 1300 access in them, and others charge you for each 1300 call you make. You should be fully aware of any charges associated with calling 1300 numbers before dialing our Talk Up 1300 numbers. To avoid bill shock, do not charge up hundreds of Talk Up minutes if you get charged per call to 1300 numbers. For more information, visit OziCall. The wait for viber blackberry application finally seems to be getting over (soon). The viber forums and facebook page is full of questions about viber blackberry application. All blackberry users just want to download viber for blackberry application and start making free calls. If blackberry messenger is one hot thing on blackberry, then viber for blackberry will surely prove to be the hottest :P. Viber for blackberry application is getting so hot that people have even switched to android and iPhone mobiles. Viber has proved to be a great success on iPhone, Android mobile phones. Not only you can use Viber just on your mobile, but you can use Viber on iPod Touch, iPad and even Viber on PC! UPDATE (8th May 2012) : We are exited to announce that Viber for Blackberry is finally released. Here is an update from Viber team. We are excited to announce that Viber for BlackBerry Beta and Windows Phone 7 have both been released today! These milestone lets BlackBerry and WP7 users connect freely with our 60 million Viber users, and is a major step towards the full versions, which will have our free HD-voice calling. Get it, you’ll like it. So many of our readers have posted about switching to android or iphone just because viber for blackberry was not available. Now Viber Blackberry application has been finally released, so no need to switch to any other phone. This is a great move by Viber. 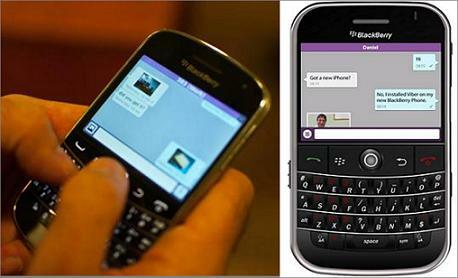 Now you can make viber free chat from blackberry to android, and soon free calls from blackberry to iphone! 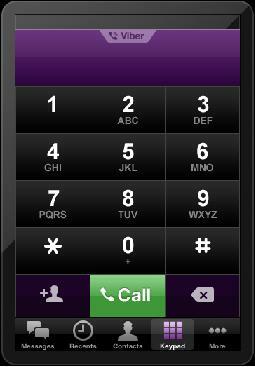 Unfortunately, the new viber blackberry beta application do not support voice calls (which is not good!). The current viber blackberry application supports messaging : users can send message, which does include sending photos, texts and exchanging location information. Also this Viber Blackberry app is of beta quality. So if you find a issue with viber blackberry application, just report it to the support or report it here itself. Its better to get all the bugz fixed for a better viber free calling experience. Viber application allows you to make calls to other viber users for free. What that means, simply install Viber on your blackberry mobile and make call to a friend who is using Viber on his iPad. 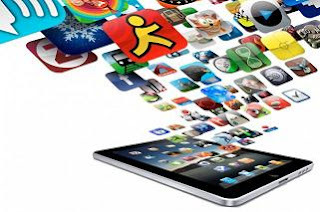 Its a multi platform free calling application : Free iPad to mobile calls, Free PC to mobile calls, Free android to iPhone calls, Viber Blackberry to Viber Android calls : the are possibilities are endless. According to Viber team, the Viber blackberry application is in the hands of Blackberry officials (Research in Motion : RIM) people. Once the blackberry approves the application, the viber for blackberry app will be available for all blackberry users, yup all viber for blackberry curve, bold, torch, bold 9780, 8250 ... basically all blackberry phones! I would suggest people that as you have waited for so much time, just wait for just few more days, Viber for Blackberry will be launched very soon. The good thing about blackberry phones is : internet and blackberry are always together. There is no use of having blackberry mobiles without internet connection. So viber for blackberry will be always working. That is you can effectively making blackberry to blackberry calling free (viber to viber calls). Lets check some details about Viber for Blackberry. We will keep on updating this page with more details about Viber blackberry application. So better bookmark this page for latest updates on viber blackberry! Update : Well Viber blackberry app is launched now. The app is released just today (8th May) and people have already posted so many reviews. The app is proving to be a great success. As we said viber blackberry app is almost ready to be released, you will be able to download viber blackberry application very very soon (within few days)! So if you were thinking to switch to android mobile just because Viber was not there on blackberry : no need! Just wait for few more days. We have some pictures to show you how Viber for Blackberry is going to work. The first look. Though the pictures are nice, but as Viber people have kept people in waiting mode for more than an year so we expect one great Viber Blackberry application. It should be better than Blackberry messenger. 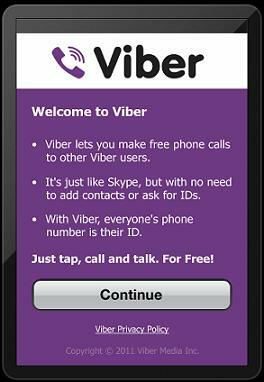 Cost : Just like Viber for iPhone and Viber for Android, viber for blackberry is expected to be free of cost. Free download of Viber Blackberry application. Free Calls : Make free calls to other viber users on iPhone, Blackberry, Android, iPad, iPod Touch, PC. Compatibility : Expected to work with all blackberry mobiles. Blackberry torch, Blackberry Bold, Blackberry Curve, Blackberry 9700 etc. Viber blackberry application can be downloaded from the app store. Just click the link below (image) to download the viber blackberry app. If you have any feedback, any comment or any concerns/questions just post them in the comment section. We will try to answers your queries or will ask Viber Team itself to solve all your concerns about Viber Blackberry application. Video calling is getting really very popular. 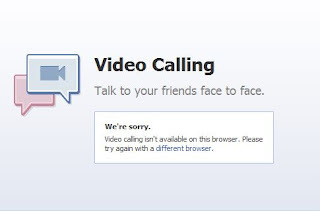 Almost all my friends and family do video calling either on their PC or their smartphone. Most of them are familiar with Skype and to my surprise many are aware of ooVoo voip app as well. Infact, some of them mailed me praising its video calling (rather video conferencing service). They are just in love with it. And why not, ooVoo allows free video conference calls with multiple people at same time which allows all of friends to video chat with each other. Trust me the video calling and conferencing experience is just amazing. Do you know that you can use OoVoo on your Mobile devices, that is Oovoo for Android, iPhone, Blackberry mobiles, Samsung Android and every other phone. It is a complete multi platform video chat software. It is a great solution for making video calls on mobile. Make Video Calls from Oovoo on Blackberry to Oovoo on Mac. Make Video Calls from tablets to PC or PC to tablets like Galaxy tab etc. Enjoy Video Chat on the go! All you require is internet. Every other combination is possible. Download and Try Oovoo Now! ooVoo works on any wireless network - 3G, 4G, Wi-Fi, LTE or WiMAX. In general if you have a good WiFi connection or strong WiMAX coverage, you will have the best experience of video calling. OoVoo lets you make video calls from your mobile to friends and family on their mobile phones, or from your mobile phone to friends on a computer, as well as over the web. 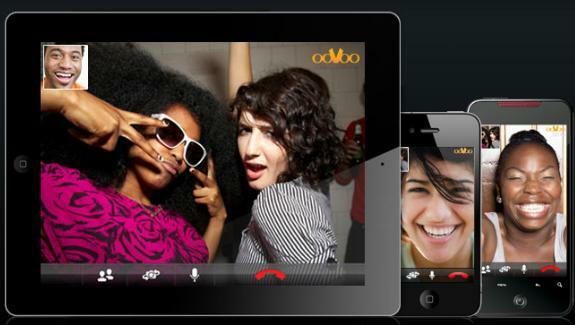 ooVoo mobile features free 6 way video chat, instant messaging, and free voice calls to your ooVoo contacts. The good thing is Oovoo is supported for a lot many devices. If you would like to video chat with more than 6 friends at same time, than you can consider buying the cheap premium service which will allow you to video chat with 12 people at same time. Make free 6-way group video calls with ooVoo's video chat app for Android. Make video call to your ooVoo friends that are on Android, iPhone, PC and Mac. Make video calls over 3G, 4G, and Wifi for FREE. - FREE video calls mobile to mobile, mobile to computer - Video chat anytime, anywhere. - Call landline and mobile phone numbers at the lowest rates. 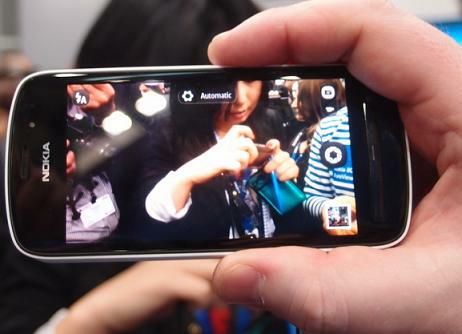 Oovoo is supported on almost all Android Mobiles. This long list can be found in the Google Play (Android Market). Download Ooovoo on Android mobiles and start making video calls! OoVoo PC : Free Video Conference upto 12 people. I don't know the reason, but many voip applications are not available for blackberry mobiles. Most of these are under construction and will be launched soon, same seems to be the case with Oovoo for Blackberry mobiles. These voip companies work last on application for blackberry (may be because of complexity of blackberry devices). Please note that we are always testing and releasing more devices. And we do communicate all device requests to our product team! So, if you want to do Video Chat with your friend, OoVoo is a must try for you. We highly recommend this video calling service! So many voip providers around so if you are still using your telecom provider then you are losing a lot of money. Today we will discuss about another voip provider names iTellvoip. 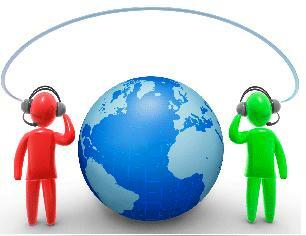 iTellVoip is a cheap voip provider offering cheap voip calls and multiple ways people can make calls. 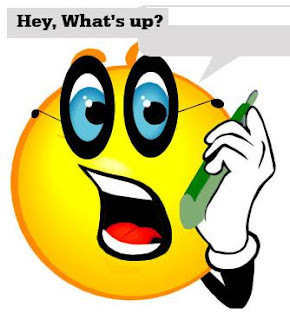 Lets first check the iTellVoip calling rates before we discuss how can you make calls using iTellVoip. You need to buy minimum credit worth 7 Euros. You can call India mobile at less than one cent for $0.008 (0.8 cent per min). Call India Landline at just 1 cent per min. iTellVoip also good option to call Pakistan. So iTellVoip Rates are very competitive and can be option to make cheap international calls. PC Phone for UAE : Embedded VoIP Tunnel proprietary technology for making and receiving calls from behind VoIP blockades country. Mobile Dialer for UAE : Works for Nokia Phone. Download SIS file free. iTellVoip Standard UAE : Multifunctional client with Embedded VoIP Tunnel proprietary technology for making and receiving calls from behind VoIP blockades country. Well we cannot confirm whether these actually works in UAE or not. I think our readers can confirm this! iTellVoip for PC | iTellVoip for Android | iTellVoip for iPhone | iTellVoip for Nokia | iTellVoip for Mobiles. 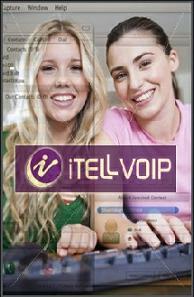 You can download free iTellVoip application for PC and install it on your computer. iTellVoip PC app is free to download. You just not create an account with iTellVoip and buy credit to make calls. Mobile Dialer : If you have Nokia mobile then download the sis file and install on your phone. As I said earlier, iTellvoip service works well in middle east countries, like UAE, Saudi Arabia etc. This service uses special proprietary technology which goes through firewalls and voip blockages, allows people to make calls. For Android, iPhone, Blackberry users : use iTellVoip SIP settings on Nimbuzz or Fring and make cheap calls. Viber is one smartphone application which is really popular. If you have iPhone or Android mobile, then it is a must for you. Using Viber you can call your buddies (which also have viber) for free. 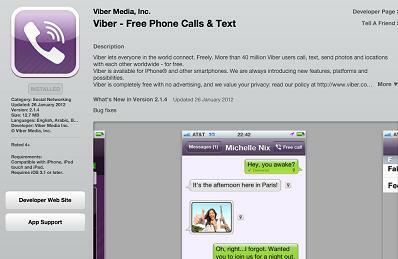 Viber is yet to launch its PC application, iPad and iPod Touch Application. However in this post, we will look at how you can still use Viber for iPod Touch or Viber for iPad. An year back, we posted how can you use Viber on PC. 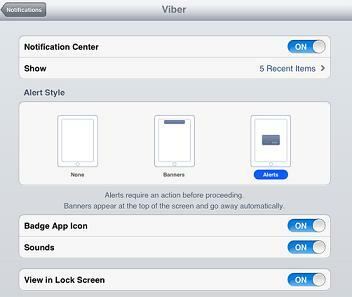 Today we have put together a tutorial on "How to setup Viber on iPad/ Viber on iPad 2". Please note that the same steps can be followed to install Viber on iPod Touch. We have also covered any viber setup error that you may face while installing viber on iPad. 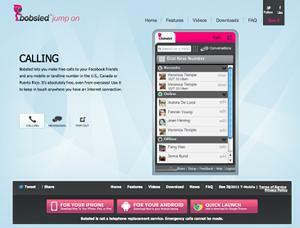 So follow the simple steps and Install Viber on iPad, iPad2, iPod Touch ! Please let us know if you face any problems in installing Viber on your iPad. 1. Search Viber in the apple store. You will see Viber in iPhone app section (and not in iPad section). Click on install and install Viber app on iPad. Same applies to Viber for iPod Touch. 2. Once the Viber app has been installed on your iPad, open it. 3. 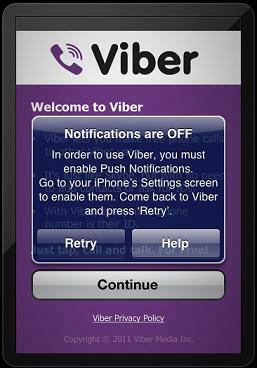 One of the Viber Setup Error on iPad/iPod Touch : Enable Push Notification for Viber. To solve this problem. Go to settings -- Notification -- Select Viber. Enable everything in these settings, as in the image below. 4. Go back to Viber application, and click retry. You should see the following verification screen. Enter your phone number. Please note that since you are using iPad, you need to enter your mobile number here (on which you have not installed Viber). Just try entering your own number, verification sms will be sent to this number. 5. You will get SMS on your mobile, it has a verification code. 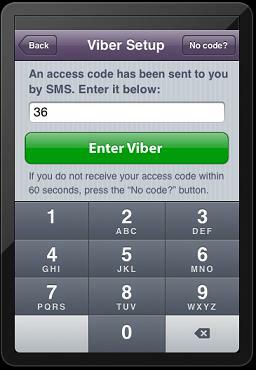 Enter this viber access code in the viber setup on iPad. 6. That's it, you should be able to see the keypad, messages :that is Viber is now installed on your iPad. To make call to your buddy, enter his number in keypad and dial. I would suggest you to sync up your address book with Viber (it will ask you to do so, just click yes). This will bring all your address book contacts in viber contacts, and you will be easily able to make calls. I tried calling on Viber installed on my iPad and it works great. Viber messages also works great! With Viber messages you can send free sms from viber on iPad to Viber on mobile. With Viber installed on your iPad/iPod Touch, you can convert iPad to Phone (or iPod touch to Phone). Using this viber app on iPad, you can make calls from iPad to any mobile which also has viber installed on it. Viber has also launched its application for blackberry mobiles, so you can now also make calls and send sms from iPad / iPod Touch to blackberry mobiles. Viber is a great multi platform application to make free voip calls and send messages. So do use it! If you face any problems in your Viber setup on iPad or Viber setup on iPod Touch, please post in comments. We will try our best to help you solve your issue. Happy Viber Free Calling! If you are looking for Free Calls to Nigeria, then we have a solution for you. But you have to act fast, as this is a promotional offer by Rebtel to make free calls to Nigeria and the offer won't last for long. Rebtel has launched a new series of “Happy Hour contests”. And this weekend, Rebtel has selected Nigeria as the destination that will get 60 Free minutes. You can use this free 60 minutes on calls to Nigeria between Friday 16th 16.00 GMT to Sunday 18th 9.00 GMT . Rebtel Free Calls to Nigeria offer is valid for both new and current users calling Nigeria, so spread the word! The best part about this offer is that it is available for both new and old customers, and for the new customers we have another promotion which makes this offer irresistible. New Users : You will get additional bonus $10 for free. Old users skip this step. Visit this special link and sign up with Rebtel. Sign up with just $10, and you will get free $10. So that's buy one get one offer for you. So you are a Rebtel customer now. Lets see how to get Free 60 Minutes to Nigeria. Open to both new and current Rebtel customers. The offer starts March 16th at 16.00 GMT and expires March 18th at 9.00 GMT. The free minutes are valid for calls to Nigeria only. The redeemed code will expire on March 18th at 9.00 GMT and remaining bonus minutes you have not used will be removed. The offer is limited to 10,000 packages of 60 Free minutes on Calls to Nigeria. To be eligible for the offer the voucher code “NigeriaHappyHour”. Rebtel has the right to exclude a subscriber from the offer or bar a subscriber's account in the case of misuse or fraudulent behavior. Localphone France promotion was a big hit where it was offering free calls to france. Now Localphone is back with Free Calls to Portugal offer. You can make free calls to Portugal under this localphone promotion which requires you to be just a localphone customer. Well that's it! This is one thing I just love about Localphone : it keeps on bringing new offers again and again. Localphone customers can make unlimited calls to landlines in Portugal from 12noon GMT Monday 19th March until 12noon Monday 26th March and after that calls return to the normal price from 1¢ per minute. There are no limits on how long you can call for or how many calls each customer can make. So if you have friends or family in Portugal it is the time you can talk and express your love for as long as you want because all your calls are free! 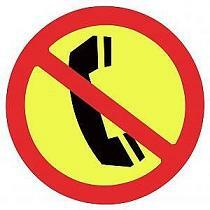 You can can call Portugal landlines using your PC, or using your mobile (local access, smartphone apps etc). Localphone offers so many different ways you can make calls. To make free calls to Portugal using Localphone, visit LocalPhone Portugal Special Page. I also checked the calling rates of other voip providers for making calls to Portugal. Pingo : (Not sure what's the rate)! Clearly Localphone is the best choice among three. If you are already Localphone customer, enjoy free calls to Portugal. If not, then Free PC to Phone Calls is running another exclusive promotion with Localphone. You have a chance to win year worth of phone call. Check this page "LocalPhone Year Free Calls" for details on this contest. (What it requires is just sign up and you will be automatically entered into the promotion). That's not all : you will get first call free when you sign up with Localphone. As you are following Free Pc to Phone Calls blog, you don't have spend on your phone bills. Voip is very popular in USA, I have seen that every other person is using Skype (atleast for chat) and many people use voip services for international calls from USA. Today we will look at how you can make free international calls from USA to anywhere in world. Well, not everywhere but for to most of the countries, and yes India is included (Free International calls from USA to India). About an year back, we posted about FreePhone2Phone voip service. FreePhone2Phone started offering free international calls from USA and we discovered a way to make calls from anywhere in world. By following some tips, we were able to make free calls from any country to any country! And by the way these were Free Pc to Phone Calls and Free Mobile to Mobile Calls. Soon the service started giving problems and many people were not able to place calls. Recently I figured that the service is again working great and they have been more active that people don't abuse the service. So currently it works for people making calls from USA (and are able to detect and stop any trick calls). Before we go into the details, FreePhone2Phone is an AD-Based voip service. These types of services get very popular as you just have to listen to small advertisement and then make free call to your destination. The voip provider makes money from advertisement, and you get to make the free call. And of course if you like the advertisement product and you may purchase it. So its positive for all! The call recipient receives a normal call from you (no ad on their side). Call duration : upto 10 minutes to any phone number anytime. To prevent abuse :If you make a call lasting between 5 and 10 minutes during a day, every subsequent call to that particular number on that day is limited to 5 minutes each. Dial a local access number, FreePhone2Phone offers local numbers in many cities. Visit FreePhone2Phone to find your local access number. You will hear a short ad 10 secs. 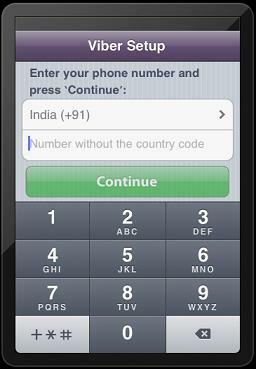 Other international destinations -- dial 011 + country code + number. Some of our surveys have shown that most people are looking for some exclusive deals and promotions so that they can make cheap international calls. Free Pc to Phone Calls is already running some of the promotions with Localphone and Rebtel, and today we bring to you another bonus deal. This time Pingo is offering free $10 bonus credit to all new customers. So if you have not yet joined Pingo calling cards, then its time to do so and avail this golden offer. If you have already registered with Pingo then you can create another account (by registering with different number) to get this great deal. Pingo is just a calling card service, so just like your usual calling cards you can make calls. Its a pinless calling service, offering local access numbers! So its better we don't discuss how to make calls using Pingo and just concentrate on this deal. Visit Pingo's Free Credit Promotion Page. Enter your information and redeem your $10 free credit. You need to signup with minimum $20 credit to get free $10 credit. Note : $10.00 call bonus amount will be added to new customer accounts only on a minimum $20.00 signup. This should not be a problem as you are getting total of $30 credit by buying $20. That's like 50% signup bonus. That's all about the promotion, lets see for calling which countries should you use Pingo. Or Pingo most famous calling destinations Or Pingo offers cheap calls to following countries. Its time to join Pingo!